Staring at the two lines on the pregnancy test, Monica could feel her heart pounding in her chest. Overcome with emotion, she screamed with joy. Finally! All her dreams come true. First meeting Louie, now a baby. Her and her ex-husband had tried for years with no luck conceiving a child. But everything was different with Louie. Monica could not wait to tell Louie the good news. But, that was a conversation that would happen in a far different place than she imagined. See Louie had a long history of run-ins with the law in Rye, NY, and had spent more of his adult life behind bars. The drugs and gang always got the best of him when he got out. 1 marriage, 2 children, 2 convictions and 10 years later. Monica had relocated to Yonkers NY with her family a few years back. Being a single mom was never what she imagined. The tips she earned helped, but barely covered all the household expenses. Louie wrote frequently, she sent pictures, but at this point the marriage was over. Divorce had crossed Monica’s mind, more frequently these days. Why go through all the trouble though? Louie certainly was not going anywhere, and truth be told, there was a part of her that held on to him. It was nice to be able to say in certain situations that she was married – they were a family after all. But with his past, she was starting to see the reality of the future. There are many women like Monica who do no know whether they should, or even qualify for a divorce in Westchester County New York. After all, does not your spouse have to sign the divorce papers? 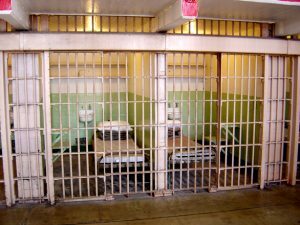 Can you get divorced when your spouse is in prison or incarcerated? How do you get divorced when your spouse is imprisoned? How do I know if I qualify for this a divorce based on imprisonment? The spouse must have been imprisoned after the spouses married. You are permitted to execute on an uncontested divorce while your spouse is still in jail. Here at The Claro Law Firm, we understand the strength it takes to make the first step toward a new life. Make an appointment today if you are ready to move forward with your uncontested divorce. Our uncontested divorce law firm is conveniently located in White Plains, NY near the divorce court. Our office will take care of all of the necessary paperwork and will commence your uncontested divorce due to incarceration or imprisonment by properly alleging it in the pleading and properly serving process on your recently released spouse, or while he or she is jail. Contact us today by phone at 917-300-3334 or by online at www.lawredress.com. Or for more information visit our grounds for imprisonment page.